What's New: Welcome to our new and improved Travel Page! 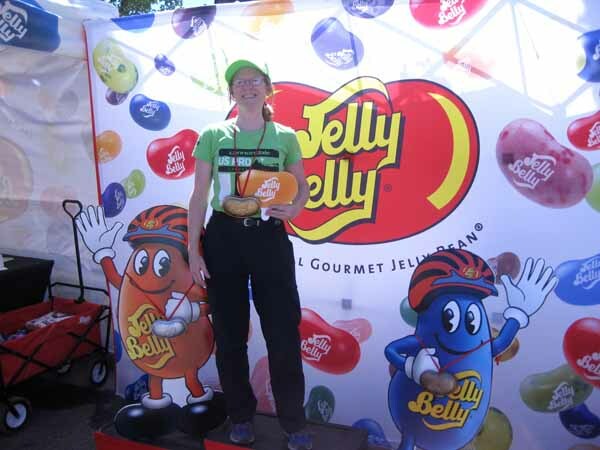 We have both been riding many miles this year and deserve to be on this podium in Colorado Springs…Henry has logged in over 2,300 miles and Pam over 1,400. 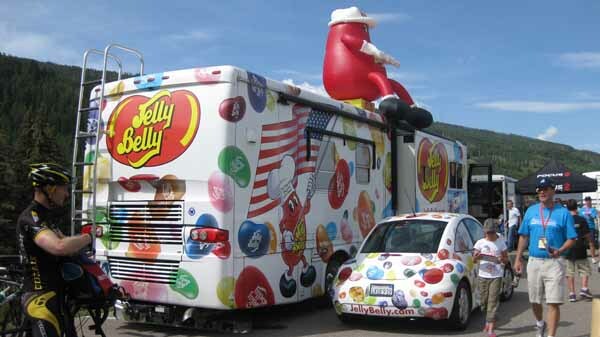 Hey – here is our Jelly Belly team bus waiting for us at Vail. 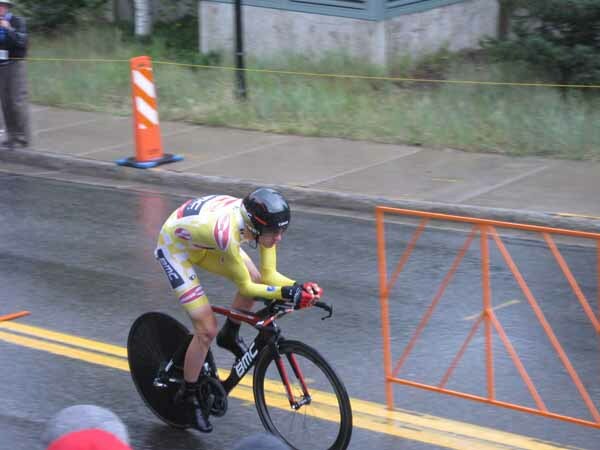 Watching George Hincapie’s last professional race at the USA Procycling Challenge Time Trail in Vail. No we did not take a selfie..
Tom Danielson is in the yellow jersey today for the time trial. Did I mention how unseasonably cold and rainy it was? We skipped the podium and went right for some hot soup. 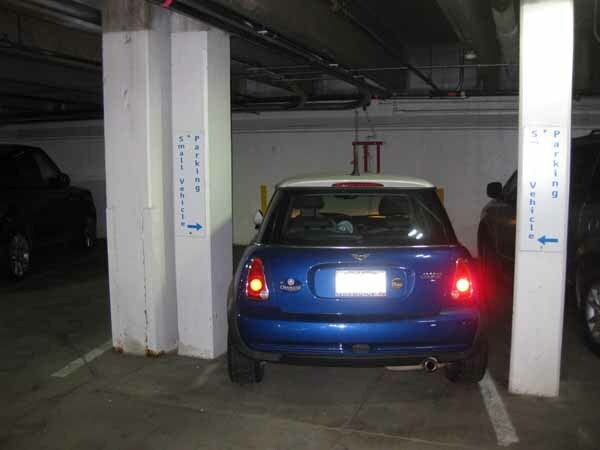 It was so crowded we got one of the last parking spaces! Best for mini vehicles – flip up those mirrors. This entry was posted in Colorado, Sports. Bookmark the permalink. SO glad I checked your blog out. Wonderful pictures. Don’t forget to go to Tucson’s Cactus Botanical Gardens. Copyright © 2004-2016 Teal Sky. All rights reserved. Last updated 3-Oct-2016.